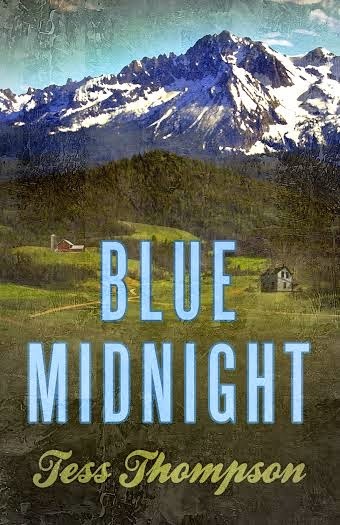 The first book of the Blue Mountain Collection, laced with Thompson’s lovable but complex characters, “Blue Midnight” is a mature love story about second chances, family, and the complexities of trust and vulnerability after betrayal. I found it at the very back of my bedside table drawer, next to a forgotten bottle of nail polish. I’d forgotten to empty the drawers in preparation for the movers that morning and was doing so now, shoving most of the neglected or forsaken contents into trash bags. But this scrap of paper, it stopped me. Shaped like a duck’s beak and wedged between the bottom of the drawer and the back panel, with just its tip exposed, it wasn’t enough, really, to indicate something of any significance. But I knew. I knew in an instant. I stood motionless, taking in every jagged detail. Then, I tugged; it came loose easily. This small slip of paper with a man’s name and number scrawled in blue ink seemed benign enough. Finn Lanigan 208-555-2004. And yet, the pulse at my neck quickened. Heat traveled from my center to every limb. I sank on molten legs to the stripped mattress. I held this scrap of paper, torn from a bar receipt, between damp fingers and stared at it like the ghost it was. I’d tossed it years before, hadn’t I? Surely I had, in one of my moments that first year of marriage when my loyalty was resolute. Hadn’t I disposed of it when I embraced my choice? Apparently not. Here it lived. My temptation. My road not taken. My daughters’ voices floated up the winding staircase from where they chased one another like wanton puppies in the now nearly empty 4,500 square feet of custom floors, intricate finish work, and marble countertops. I went to the window that faced the street and looked out onto our neighborhood park, empty this morning of children. Today was the first day of summer vacation and children and their mothers were sleeping late. How many hours of my life had I spent in that park, pushing my babies in swings, chasing after them as toddlers, and, when they were old enough to climb the play structures by themselves, chatting with other mothers about this milestone or that? The hours could not be calculated, of course, nor the wages lost by choosing to stay at home with my children instead of continuing my career. The windows were open to let the fresh June air cleanse away all remnants of the scents of my family before the new owners claimed it with their own smells. Outside, the movers shouted to one another as they loaded the family room couch into the moving truck. My neighbor from two doors down walked by the truck, her eyes averted. Her manicured hands grasped the leash of her Labradoodle. She couldn’t look. It was easier to pretend the collective nightmare for almost every woman in our affluent Seattle neighborhood had not happened to someone in their circle, someone with whom they exercised, had dinner parties, and volunteered at private school. Someone they liked. A stay-at-home mom, almost forty-five, left by her husband for another woman and forced to leave her beautiful home and sought-after neighborhood. I was everyone’s worst-case scenario. My eyes went back to the slip of paper in my hand. If you change your mind, here’s this. Then he’d kissed me one last time under an Idaho star-scattered sky larger than any other. After the kiss I wished would last forever ended, as all good things must, I turned away, back to the life I’d agreed to, the wedding I’d committed to. It was the last kiss that ever weakened my knees, the last sky I noticed for thirteen years. Now, Clementine, my seven-year-old, pounded up the stairs, followed by the tip-tap of her older sister Lola in her flip-flops. I shoved the slip of paper in the pocket of my shorts. I couldn’t know then why I didn’t just toss it in the garbage like I had so many memories and possessions in the weeks preceding. I know now. It was my destiny, and destinies cannot be denied. Like her main character in the Legley Bay collection, Tess is from a small town in Oregon. She currently lives in a suburb of Seattle, Washington with her two young daughters, Emerson and Ella, and their puppy Patches. 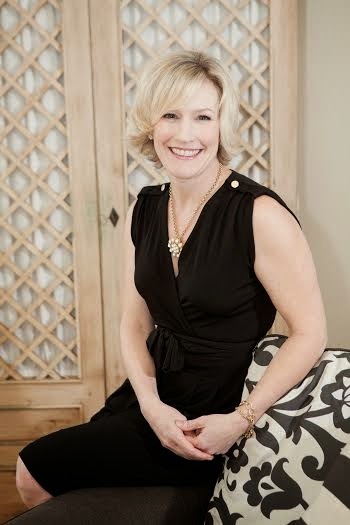 She is inspired daily by the view of the Cascade Mountains from her home office window. Blue Midnight by Tess Thompson is 2014 publication. I was provided a copy of this book in exchange for an honest review. it starts off with that kind of format, but it keeps changing as you continue reading. Blythe is in her mid forties, divorced, has two young daughters, and is trying to get her life back in order and discover what path she will take now that she is single again. Enter Blythe's younger sister, Bliss. Yes, they have a hippie mother, which explains the names. Blythe's ex-husband is getting remarried and wants to take their daughters on the honeymoon with him and his new wife. Blythe will have three weeks to herself and Bliss decides it's time she took a vacation. She gets the idea to arrange a stay in Idaho based on the story Blythe tells her about meeting a man named Finn a short time before her marriage. She happened to find Finn's phone number and she is thinking about looking him up. Bliss pushes her in that direction, and from that point on this book takes off in an entirely different direction. Once Blythe arrives in Idaho, she meets a women that runs the inn she is staying at, and is told the woman is a witch, well more of a psychic. Then Blythe meets a man in a bar and they kind of hit it off, but then when Blythe starts asking around about Finn, she discovers a sordid tale of possible adultery, murders, and a family that was torn apart and has never found it's footing again. Before long Blythe is emotionally invested in Kevan, Finn's brother, and his daughter and their family drama. There are vivid dreams, and paranormal encounters that help Blythe uncover a deeply buried family secret. But, is Kevan a man she can trust? The connection between Blythe and Finn all those years ago remained in tact. That connection , no matter how implausible will bring Blythe face to face with her destiny. For the first time in her life, Blythe has the boldness that eluded her for the past thirteen years. She speaks her mind and takes charge in situations where as before she just did things the way her husband wanted them, and that included giving up her career as a photographer. Now Blythe is determined to discover the truth about Finn and Kevan before she goes back home. I loved watching this transformation in Blythe. She was feeling down about herself, depressed about her age, the toll the divorce took on her children, and she was nervous about the future. She finds her new found bravado gives her a new confidence in herself and despite the astronomical odds that a connection so strong from so long ago would lead her to this time and to this place, Blythe jumps in with both feet and finds she is where she should have been all along. Things didn't turn out the way they should have all those years ago, but happiness and peace has been a long time coming for Kevan and Blythe . The two of them will discover the long buried secret that was tearing at a family and with that knowledge that are now free from the past, both Kevan's and Blythe's and will now be able to forge a much happier future for one another and for their respective families.